Right now, it’s all about white kitchens according to interior design bibles from Country Living and Elle Décor, to Architectural Digest. Even the esteemed Wall Street Journal says that all-white kitchens are amongst the top interior design trends for 2014. What better time, then, for kitchen and bathroom makeover experts, Granite Transformations, to launch their new Hydra White worktop finish. With 67% recycled glass content, including mirror fleck for subtle highlights under halogen lamps, this surface also chimes in with current consumer demand for eco-friendly materials. 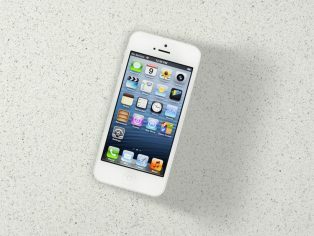 With cool, classless white making a comeback in everything from kitchens to cars, experts are attributing this to the ‘Apple effect’, referring to iPhones, iPads and other gadgets being produced in this fashionably minimalist shade. White is clean, crisp and bright: it makes a kitchen feel open, airy and spacious, reflecting back natural and artificial light. In colour psychology terms, it is also the complexion of new beginnings. What’s even better abut Granite Transformations’ slimline, lightweight, yet highly durable Hydra White recycled glass material is that it can be fitted directly over dark stone countertops and other work surfaces, creating an instant ‘new beginning’ for home owners. Granite Transformations showrooms around the country can also fit replacement cabinet doors and drawer fronts in Satin White, high gloss Snow Larch and acrylic Ultra Gloss White to create a fashionably all-white kitchen. This means you can be totally on trend, without all the usual demolition, dust and debris of a total kitchen rebuild. Monochromatic tones are already the most popular worktop finishes amongst Granite Transformations’ customers, with Black Star and Nero Stella the two most popular and recycled glass White Star the next favourite. New Hydra White is slightly crisper in appearance and more finely textured, with flecks of recycled mirror, aventurina and semi-precious stone. An agglomerate material only a quarter-inch (6.7mm) thick, it is composed largely of recycled glass and a minimal amount of clear polyester resin, to give it outstanding strength, flexibility and abrasion resistance. The glass content is both pre-consumer and post-consumer, from clear bottles, containers and headlamp glass, and it imparts exceptional resistance to heat, water and ageing. 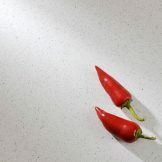 Hydra White can be used for kitchen worktops, waterfall ends, gently-curved breakfast bars, island units and splashbacks; although it is equally suitable for the bathroom, as shower surrounds, bath panels, vanity countertops and hard flooring. 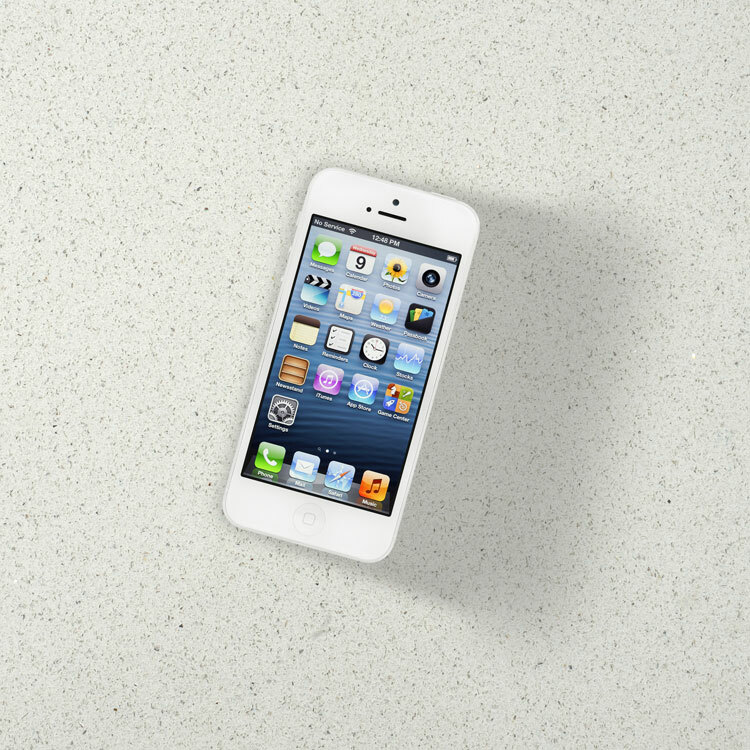 Priced from £385 per square metre, Hydra White surfaces are fitted by factory-trained craftsmen and are covered by Granite Transformations’ unrivalled lifetime material warranty. It can be complemented by the latest white appliances for a minimalist look, as well as white, pearl and silver glass mosaic tiles from the Trend range, also carried by Granite Transformations. To check out the nearest Granite Transformations showroom, visit the website at www.granitetransformations.co.uk or call 0800 044 5393.